Good day! Just in time for the holidays, I have received a new set of products to review from Born Pretty Store! 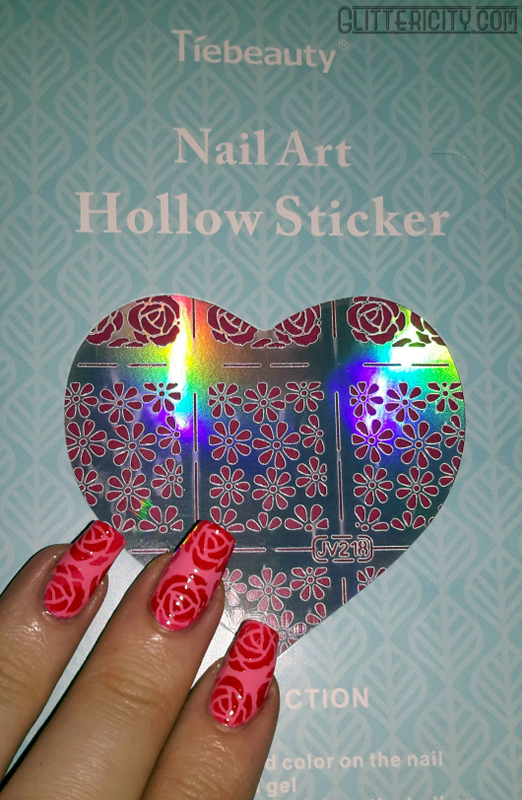 I have lots of festive, seasonal items which I will post about after this, but the one I was most excited to try is these floral nail stencils! Plus, Christmas means summer here in Australia, so these aren't out of place at all ;) Read on to see more! These stickers come in a pack of 12--six each of two different designs. 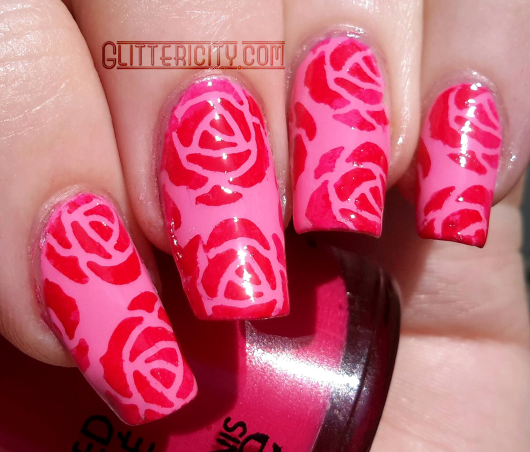 There are many patterns to choose from, but I liked these roses and daisies. I was able to get away with using only three of these--one for the thumb, and half of one for each other nails--per hand. 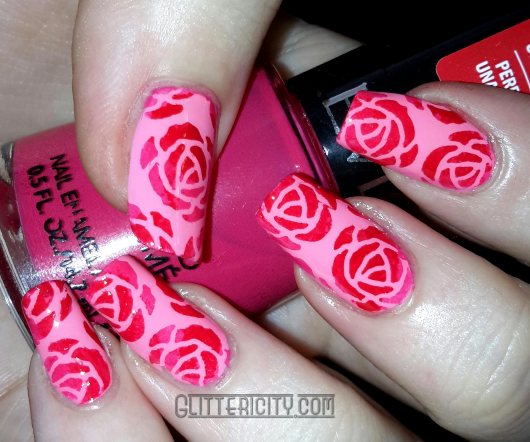 If you have larger nails, you may need one sticker per finger. They are excellent quality--thin, but not too thin, and they stuck firmly to the nail so I had no leaking, yet they peeled off easily afterwards. Plus, they're holographic! If something can be both beautiful and functional, I'm a huge fan. These definitely fit the bill. 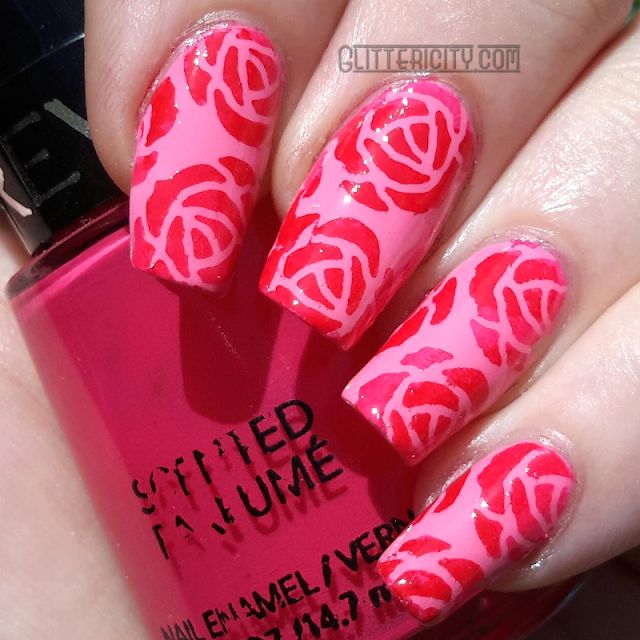 I did, of course, top it once more with Seche Vite to protect and smooth it out. So yes! A gold star for these stickers, which are so affordable! Get yours here, and don't forget to use discount code CITYG10 for a 10% discount. Born Pretty Store ship worldwide for free, so these can be yours for a little over a dollar :D But who can order just one set...?